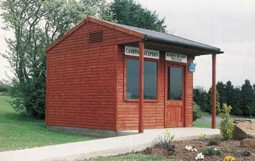 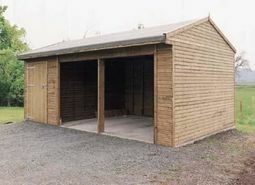 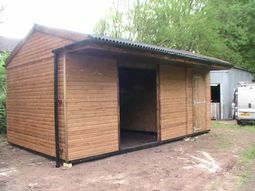 Here we have a 18ft x 12ft shelter with two 6ft wide openings, with galvanised gates fitted. 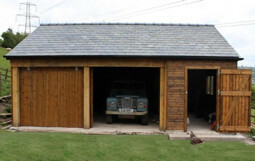 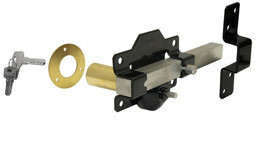 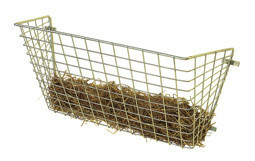 This one was designed and built for a customer in West Wales, Swansea. 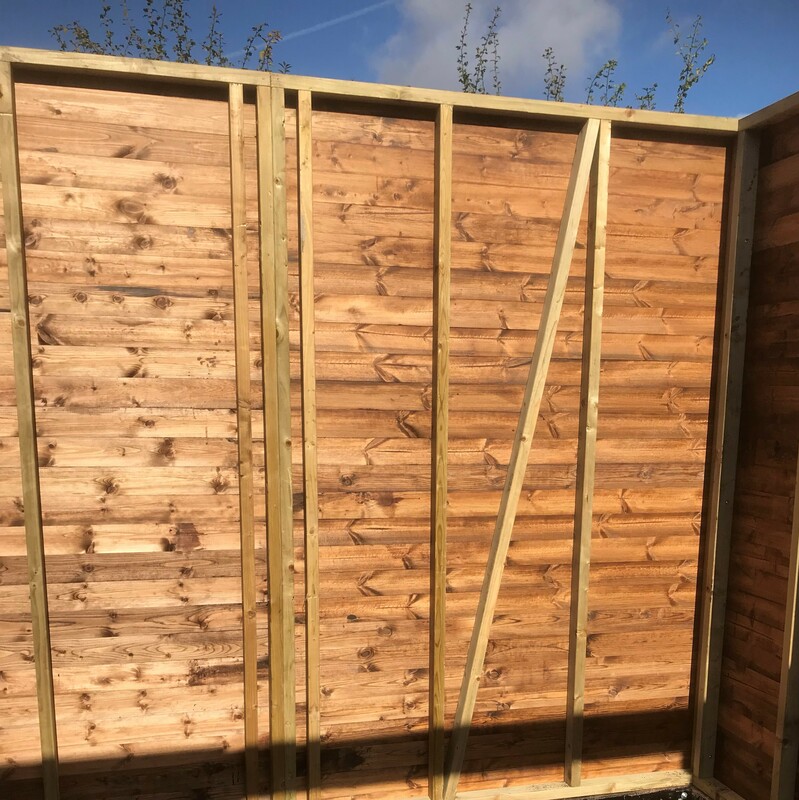 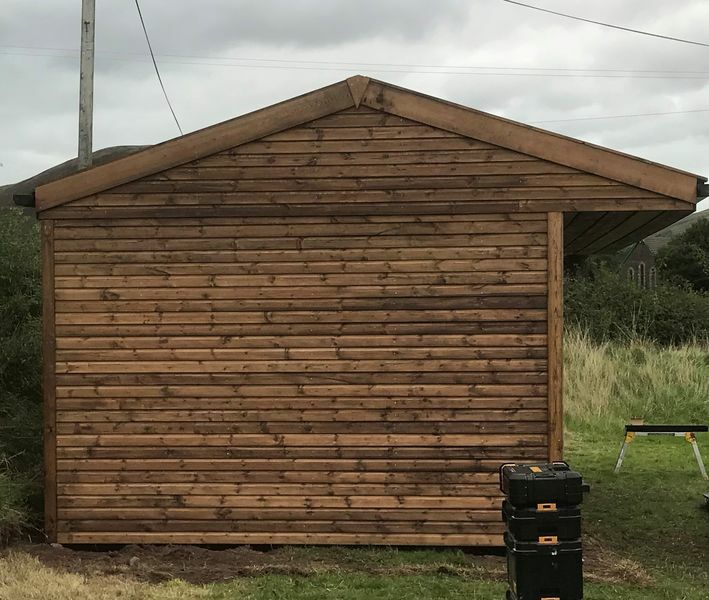 They have chosen to have the build constructed with redwood shiplap cladding which has been treated with golden brown preservative and has a black Onduline roofing. 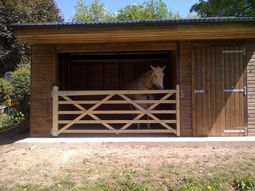 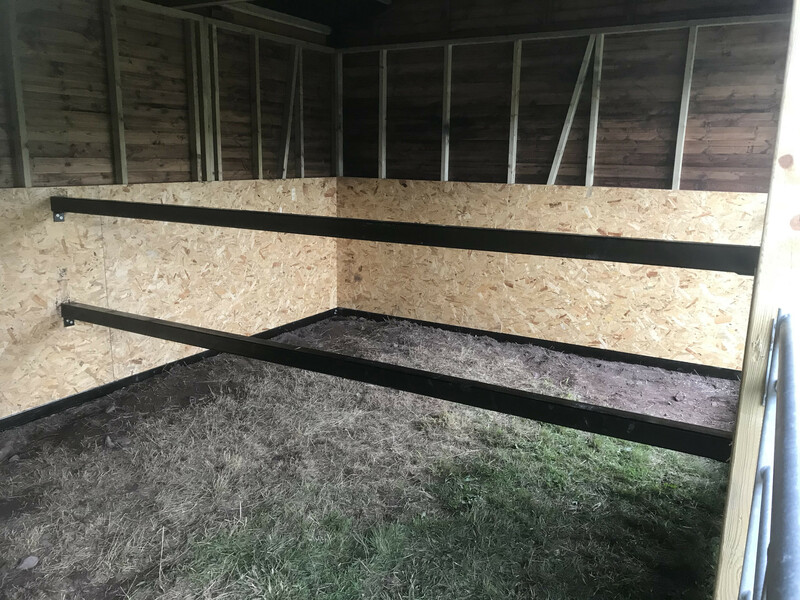 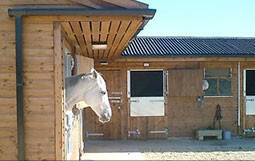 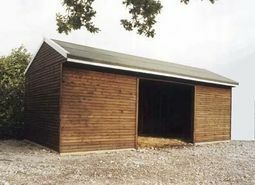 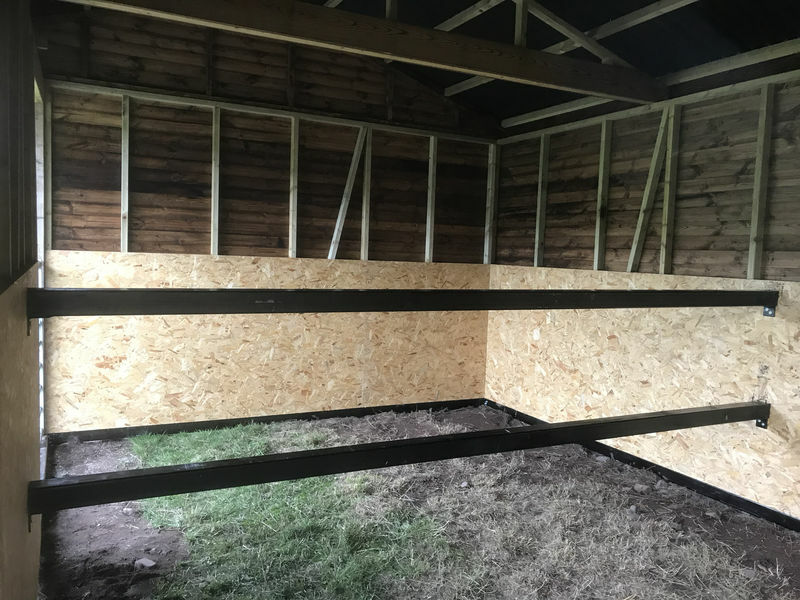 Internally we lined the shelter and fitted double bars to keep horses separate yet allow them to bond with one another. 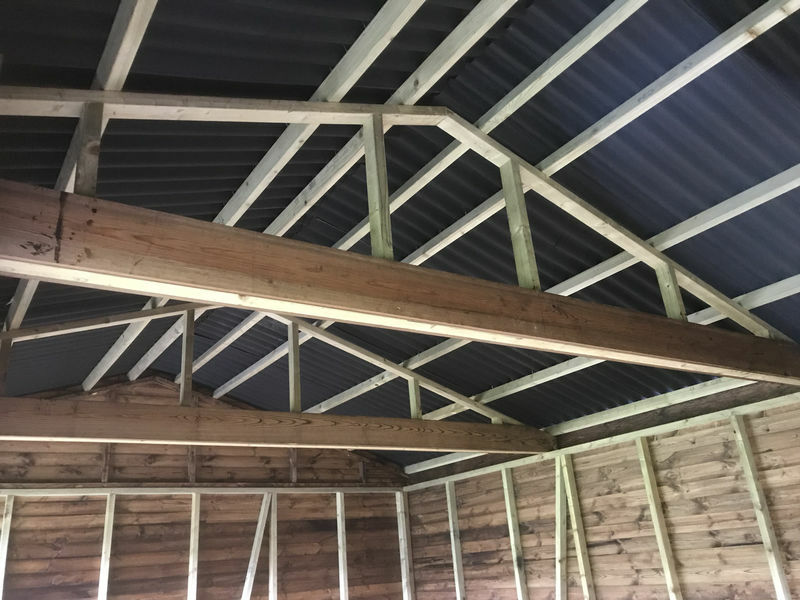 There are many options and we work closely with our customers to design their perfect build, so please feel free to contact us to discuss your options or for a quote.